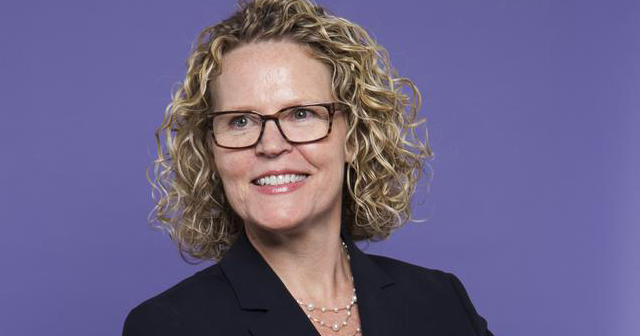 Liz Blackwell, KAT ’93, was named one of St. Louis’s Most Influential Business Women on Aug. 10 by the St. Louis Business Journal. Blackwell received the accolade after joining and being made a partner at Bryan Cave Leighton Paiser, an international law firm headquartered in St. Louis. With 32 offices in 11 countries and a platform of 1,600 lawyers, the firm is one of the largest in the world. Blackwell practices in the Commercial Disputes and Product Liability groups at the firm. In addition to her recent award, Blackwell has been featured in the St. Louis Business Journal’s “40 Under 40,” listing, Missouri Lawyers Weekly, the Profiles in Diversity Journal, and “The Best Lawyers in America” at www.bestlawyers.com. In addition, last year, she was invited to become a member of the American Law Institute, an organization that limits its membership to about 3,000 individuals worldwide. Blackwell has served as national counsel for major consumer product manufacturers for more than 20 years, at both the trial and appellate level. She has been recognized for her role on trial teams that defeated a multibillion dollar federal lawsuit against the tobacco industry, a multibillion dollar Missouri hospital lawsuit, and a consolidation of more than 1,200 plaintiffs’ personal injury cases. These cases represent some of the most complex civil litigation in the country: the federal tobacco lawsuit involved the production of more than 26 million pages of documents, and the trial of the consolidated personal injury actions followed 10 years of pretrial litigation. Blackwell also has provided pro bono representation to members of the LGBTQIA community in state and federal courts, including submitting amicus briefing that was cited by the U.S. Supreme Court. Originally from Salem, MO, Blackwell’s accomplishments and career have taken her far from her family farm and years spent at Westminster as an English major with an emphasis in Religious Studies. Yet Blackwell’s farm family work ethic – that once involved long days milking cows, hauling hay, and picking vegetables – remains. Blackwell recently discussed how hard work and an education that began at a small college helped her find power in her purpose and make a giant national impact. What advanced degrees did you receive after graduating from Westminster? I graduated from Harvard University with a Master’s in Theological Studies, in 1995, and went on to receive my Juris Doctorate in 1998 from Vanderbilt University. Tell a little bit about the most important legal cases you have worked on. I represented members of the tobacco industry in a $280 billion civil RICO lawsuit. The trial was in D.C. and lasted more than six months. The case has been described as “the largest piece of civil litigation in the history of the United States.” I also have represented members of the LGBTQIA community in amicus briefing in the U.S. Supreme Court and in a significant federal district court case. The Supreme Court cited our amicus brief, which was a real highlight. Can you describe what you do on a day-to-day basis? I represent clients in litigation and appeals. I handle product liability cases, food-labeling litigation, and cases involving agricultural products, mostly. Many of my cases are class actions or mass consolidations. What made you choose the legal profession? 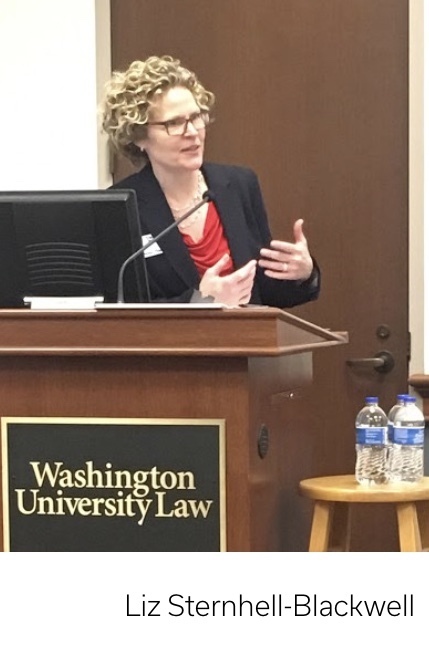 I chose law because it provides many opportunities, and I enjoy putting together arguments for a particular audience, whether it is a judge, an appellate court, or a jury. I like trying to persuade. What organizations outside of work are you involved in? I am the President of the Board of Trustees for the ACLU of Missouri, I am a former co-chair of the ACLU of Missouri’s Development Committee, and I served on Legal Committee for the ACLU for several years. I am also a former board member of Legal Advocates for Abused Women and have served as a volunteer attorney for that organization. In addition, I serve on the St. Louis Art Museum’s Corporate Partnership Committee and previously served on its SLAM Underground Committee. I am a member of the Human Rights Campaign St. Louis chapter, a member the Harvard Club of St. Louis, and I serve on the Diversity Committee at Forsyth School. I also coach my daughter’s school and league basketball teams. And I am a member of the American Law Institute. What role did Westminster play in leading you to your legal career? Dr. Langton’s political science classes made me interested in law and politics, and my English classes nurtured my love of writing and persuasion. Would you recommend Westminster to prospective college students? Absolutely. The small class sizes allow you to develop real relationships with your professors and learn from them in a different way. They really engage with students. At least three of the professors in my major hosted events for students in their homes. One made our class a home-cooked breakfast during finals. The professors are really interested in every student’s success. And, the letters of recommendation they wrote for me helped me get into the master’s program at Harvard. To me, leadership is being willing to be the one staying up at night, making the plan, engaging others in it, but being willing to take heat if it doesn’t succeed. For nearly my entire career, I’ve had this saying taped to the computer in my office: “Success is getting up just one more time than you fall down.” I also live by the quote, “Strive not to be a success, but to be of value,” by Albert Einstein. Do you have a favorite Westminster memory? Poetry readings at professors’ houses, led by Professor Zade, and hanging out with my friends – Stesh, Sarah, Lorna, J.J., Abby, Gretchen, Jay, Scotty, and others – and talking about writing, or listening to the Brothers Gibb, a.k.a., the Bee Gees. Who were your favorite Westminster faculty members? Professors Perry, Zade, Langton, and Young. Dr. Kara Sternhell-Blackwell, dermatologist, Associate Professor of Medicine at Washington University. You Think It, I’ll Say It by Curtis Sittenfeld. I run, read, and spend time with family.